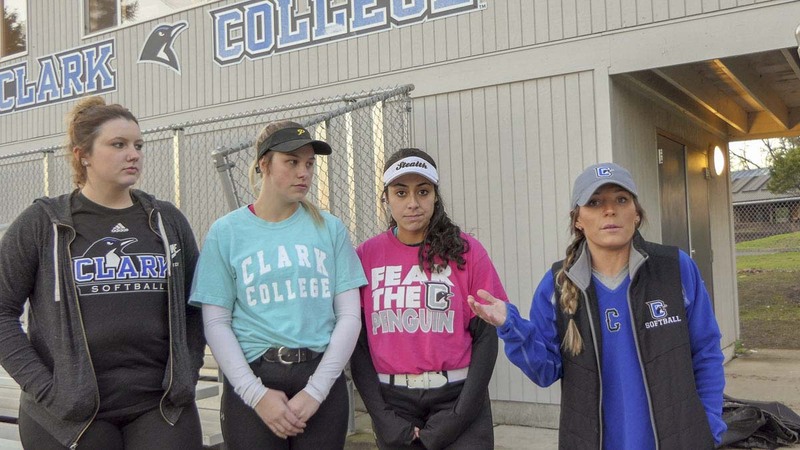 VANCOUVER — In her three seasons as head coach of the Clark College Penguins softball team, Meghan Crouse has gotten used to dealing with transients at their field on campus. She’s gotten used to them sleeping in the dugout, squatting in the batting cages, and even pitching tents on the outfield. “I’ve come out here at 8, 9 o’clock at night to grab gear, and there was like a 6-foot-2, 250-pound homeless guy lying right in front of the storage unit,” says Crouse, who is less than five feet tall herself. “All I had was a pencil on me,” she adds, saying she decided to back away from any confrontation and return later. Crouse says the college has been aware of the problems, and will send security to sweep ahead of practices, but they don’t always get everyone. In one case a man in a Jeep would park nearby to watch the girls practice, leave if confronted, but return later. That was bad enough, but over the summer something changed. Some players say they’ve been told the opening of the new Vancouver Waterfront Park sent homeless living around there to the other side of I-5. Some have sought shelter around the playing field. 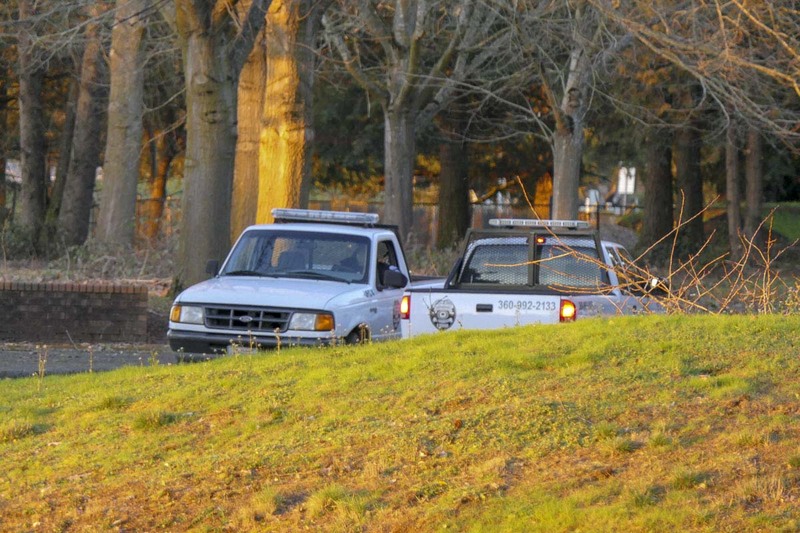 In one case the equipment shed was broken into so someone could sleep inside. “We’ve never had the issue of finding so many needles, and their own feces in front of our dugout,” says sophomore Torina Roush. 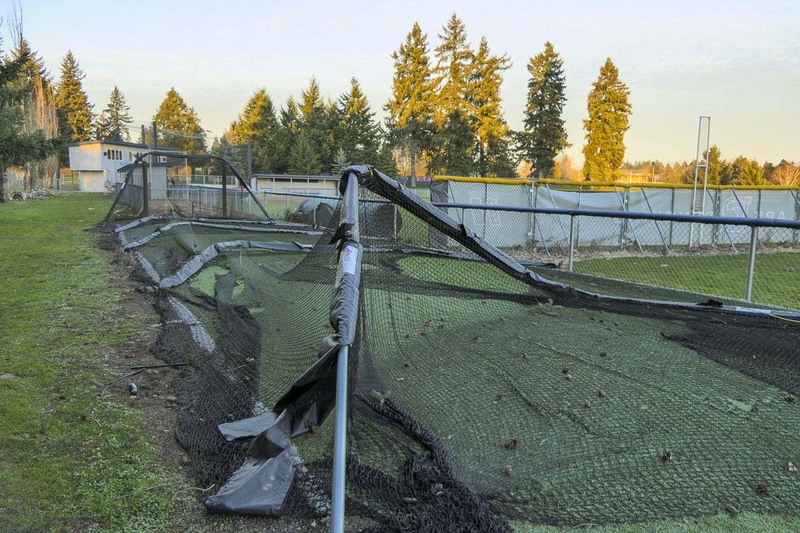 On Monday, the players arrived for their first outdoor practice to find that the batting cage netting had been slashed, and the poles holding it up knocked over. The damage, says Crouse, will cost at least $5,000 to repair. The school says the damage actually occurred sometime last November, and they’ve been working to get it fixed since then. This isn’t the first major financial hit the team has suffered at the hands of vandalism and theft. Crouse says a $7,000 sound system was taken a few years back. It was finally replaced last season, only to have the new one stolen again over the summer. Replaced lighting in the parking lot adjacent to the athletic fields with new LED lights that are brighter than the previous ones. Assigned groundskeeping crew to work overtime on weekends in October to clear out bushes and trees in the area, in order to increase visibility — staff will be clearing more vegetation this coming weekend. Ordered motion-detector lights to be installed in multiple locations on the fields (we anticipate having those installed within a month). The college is adding a fourth security officer to our Security and Safety staff whose primary area of focus will be the Athletic Fields. 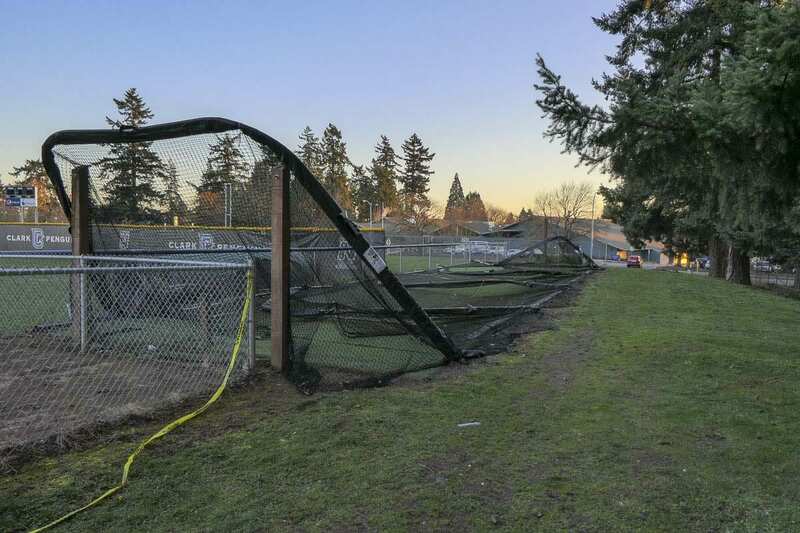 Looking at the feasibility of installing taller fencing around the softball field to make it harder to get into it. Roush says the team itself has done a lot of upkeep at the field, including trimming nearby trees to make it more difficult for people to camp out undetected. Crouse says she believes the school is doing what they can to address the problem, and she knows that they can’t have someone at the field around the clock. During practice on Wednesday, at least two security vehicles could be seen driving nearby, something Crouse says is certainly new. Perhaps as a result she says they didn’t see a single homeless person when showing up for practice that day. The team has taken other precautions, such as requiring the players to go to the restroom in groups of at least three, and not returning to the field alone if they forgot something. In addition to concerns over the safety of players, as well as the cost of repairing and replacing equipment, the team says they’re worried it could affect attendance to games, or put fans at risk if a needle were missed during clean up. Crouse says she’s also had a hard time recruiting new players to the team, given what they might see when they show up to a game or practice.